Tim Peake is a British Army Air Corps officer, European Space Agency astronaut and one-time International Space Station (ISS) crew member. He launched for the International Space Station on 15th December 2015, remaining there until his return to Earth on 18th June 2016. 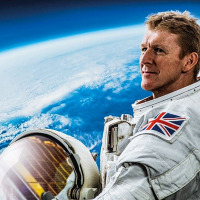 Whilst there, he became the first man to run the London Marathon whilst in space on the ISS treadmill.